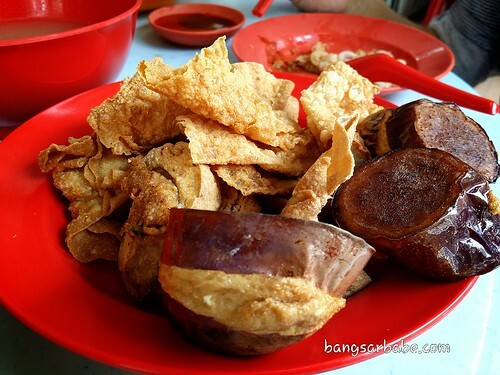 I vaguely remember eating the yong tau fu in Pudu – my first time was probably 8 years ago, before I started this blog. And before I developed a passion for food. But I was never lucky with this outlet; rif and I went there three times, only to find it closed on two accounts and another, closed for renovation. So I didn’t bother visiting thereafter. It was by chance that our favourite curry noodle shop was closed, forcing us to drive around the area. 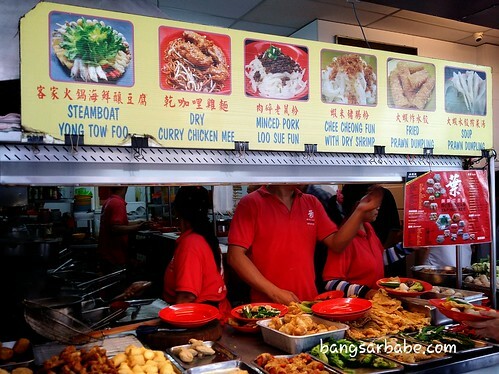 That was when we spotted Yap Hup Kee – open for business and without the lunch crowd, yet. He parked the car while I ordered the food and settled for an available table. 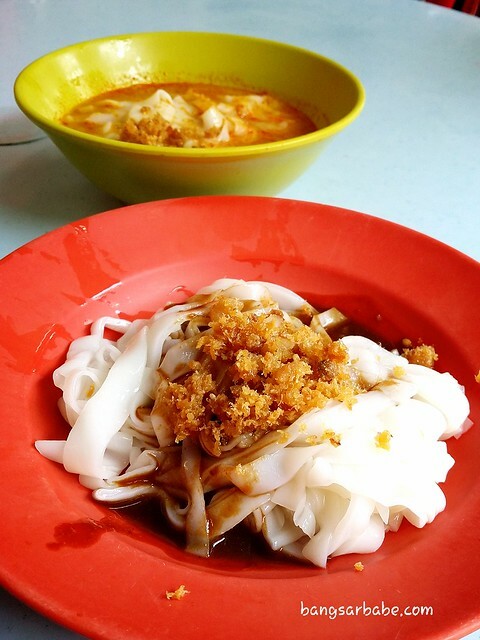 The chee cheong fun is good here (albeit too small a portion) – both the black sauce version and curry broth. 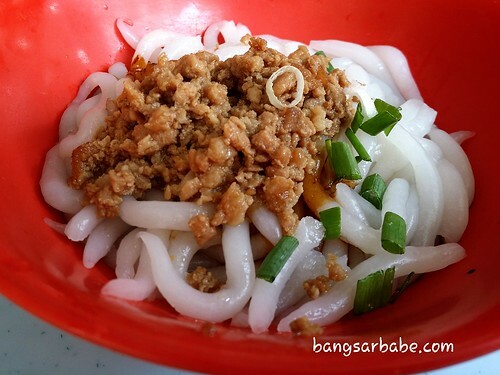 I liked the texture of the rice sheet noodles; silken and thin. 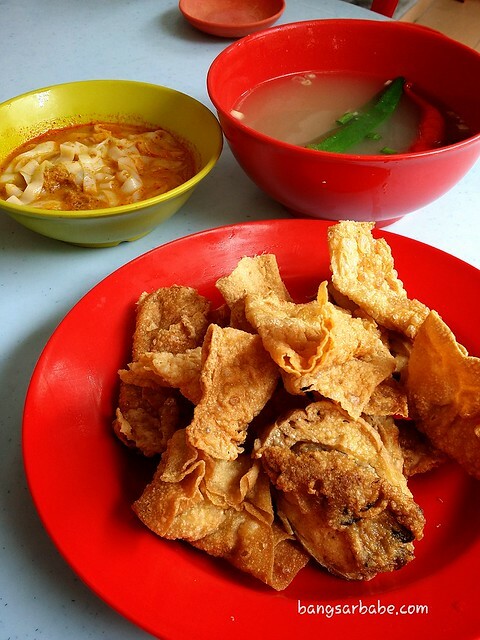 Both came topped with a sprinkling of dried shrimp. rif and I thought the shrimp tasted better in the curry version. 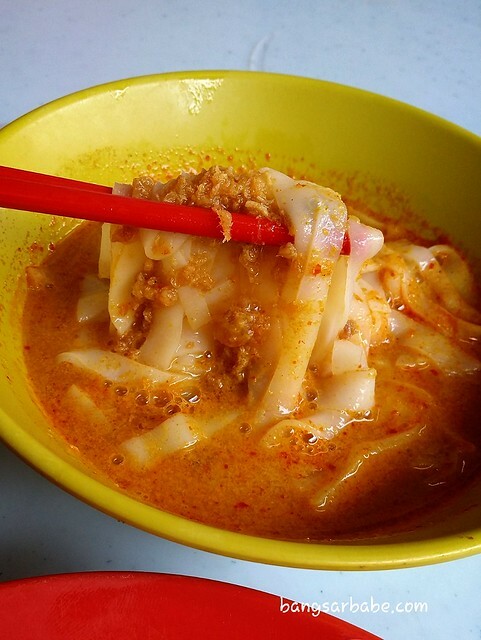 We also tried a portion of dry style loh shi fun and dry curry chicken noodles, both popular with the lunch crowd. 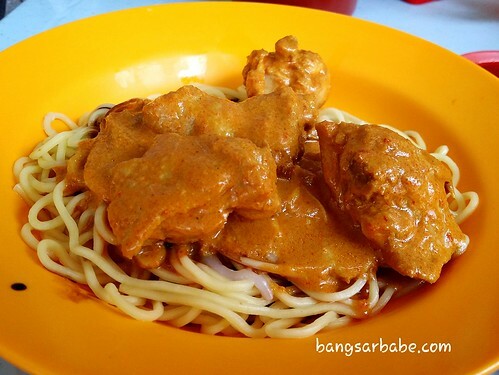 I liked the dry curry chicken noodles best as the noodle were cooked just right, tossed in a drizzle of dark soy sauce and topped with thick curry gravy and chicken pieces. 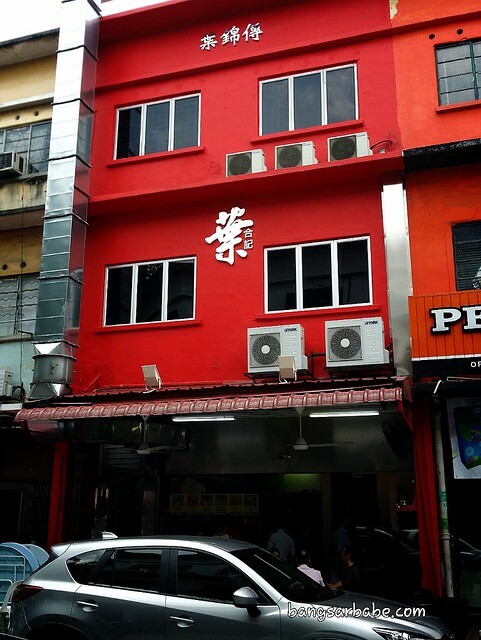 As expected, the yong tau fu was good. While portion could have been bigger, the fish paste filling was tasty – no additional sauce needed. The stuffed chilli and ladies finger came with a tasty broth, which I couldn’t stop drinking. Of course, there was MSG inside so I felt quite thirsty after the meal. Lunch came up to about RM34 for the above, inclusive of two drinks. Not cheap (partly why some of my colleagues banned this place), but the food is good. 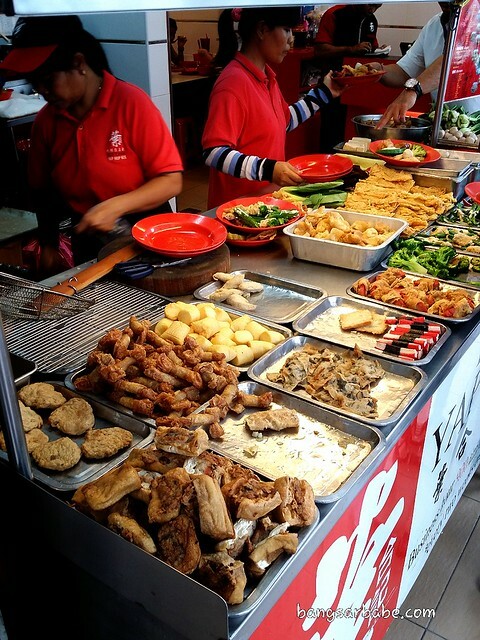 Verdict: Good yong tau fu and chee cheong fun. 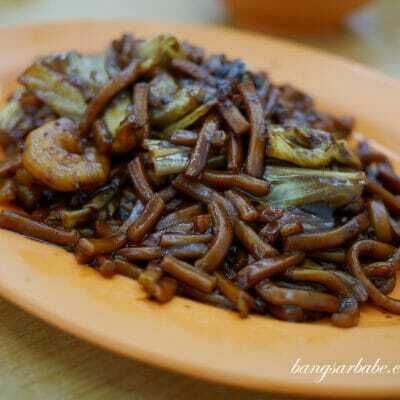 I like the dry curry noodles too.